Please click on a Question below to reveal answers. Please see our Prices page for details of all our treatment costs. Is there any parking at the clinics? Both the Healthcare clinics have free parking nearby. In Hayes it is at the rear of the building. In Watford there is off-road parking in front of the clinic and parking down the side of the clinic in Kilby Close. Can you tell when you need a chiropractic adjustment? In most cases, no. When you have a misalignment in your spine, it may or may not hurt. It usually doesn’t. Often a misalignment will lie just under the surface much like a dental cavity creating a problem but going unnoticed until it causes pain. This explains why people will be showering their hair or picking something off the floor and ‘all of a sudden’ their back goes ‘out’ or they experience sudden neck ache. Receiving chiropractic care is a necessary part of being healthy, which in turn means preventing disease. Just like a balanced diet and being active, chiropractic care allows you to reach your full health potential. Everyone, from the youngest to the oldest, should eat well, remain active and have a healthy spine. Whether you have a specific problem or not, your spine needs to be checked to remain healthy. As Hippocrates said, “You are only as healthy as your spine.” You have regular dental check-ups, so why not your spine. Remember, your teeth can be replaced, your spine cannot! A chiropractor checks your spine to see if you have any misalignments. Your spine is meant to be in line. When you have a misalignment, your spinal bones create havoc with your nervous system. This havoc and interference disturbs the mental impulses flowing from your brain to your body and body back to your brain. Your brain then can no longer keep the body healthy due to this interference. As a resul this can cause lack of vitality, weakened immune system, arthritis and other diseases. If I have misalignments what then? If you have any misalignments, it is very important that you have them corrected. Your chiropractor will gently adjust your vertebrae back into alignment, allowing your body to start healing itself. As every body is unique this is very difficult to answer until you have been examined. It also depends on what you mean by ‘better’. Most people mean ‘how long before I’m out of pain?’ Pain can start to reduce right from the very first treatment or may take several sessions. At the Healthcare Clinics our initial objective is to relieve the pain. The longer you have had a problem, and the poorer your general condition and health, the longer it will take. The longer you leave a problem the more attention will be required to rectify it. Only if you want to, or if you need a referral letter for private medical cover. We may, with your permission send a report to your GP to keep your medical records up to date. Of course. When developing a care plan the unique circumstances of each patient are considered. 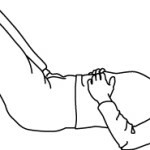 There are many ways to adjust the spine. The method selected will be best suited to your age, size and condition. Also, we can give you up to date advice on how to combat osteoporosis including what exercise to do, what foods and drinks to avoid that weaken your bones, and what supplements and foods may be of benefit. I've heard that chiropractors 'crack' your bones? The adjustment may cause a noise such as you hear when your knuckles pop. This is not the bones cracking. The noise is the pressure being released between the misaligned vertebrae – much like the built up pressure being released from inside a canned drink when it’s opened. What causes the bones in my spine to misalign? Stress causes your spine to become misaligned. Stress can be physical (e.g. traumatic, repetitive), emotional ( e.g. from work, lifestyle or relationships) or chemical (e.g. toxic surroundings, poor diet). Everyone suffers from different degrees of each of these stresses. Each adjustment is tailored individually to suit each patient based on their age and misalignment. Young patients are adjusted differently to adults and elderly patients are adjusted differently again. Absolutely not! Once is better than never, though most people choose to continue to receive the benefits of chiropractic care. Your chiropractor adjusts only those vertebrae that are misaligned, restoring your body back to the way it was designed to be in its natural state. Just like exercise or eating properly, when you feel what it’s like to be healthy with a healthy spine, you also notice when something’s not quite right. To keep this amazing body of ours running, it requires the correct kind of upkeep and just like anything else, if you don’t put energy into health you’ll eventually put energy into fighting sickness. You don’t have to keep going but most people choose to. No, it’s impossible to adjust yourself. It is possible to make your spine pop and feel better, but it’s not possible to find the misalignment that’s causing the problem and specifically move it. If you rely on adjusting yourself or having someone who is not a chiropractor adjust you, the parts of your spine that pop will become too loose and unstable, while the real problem, the locked misalignment, will become stuck and decay. Chiropractors would never attempt to adjust themselves. They go to another chiropractor to receive their adjustments. Chiropractic is one of the safest health professions in the world. Your chiropractor will do a complete examination and take x-rays to determine if there is any reason why you can’t be helped through chiropractic care. Definitely! Conditions such as these often place extra stress and tensions on the spine and tissues. To leave this extra stress unchecked leads to further problems in other areas. The chiropractor takes all of these factors into account to insure your spine is kept in peak condition. A chiropractor has 5 years of chiropractic schooling. Courses taken are the same as a medical doctor with the addition of studying spinal care, nutrition, exercise and advanced neuroanatomy in place of emergency procedures, surgery and pharmacology. What's the difference between osteopathy and chiropractic? Chiropractic maximises your health and healing by removing interference from your nervous system and allowing your innate healing ability to flow through you. A chiropractor is able to read and diagnose x-rays, thus allowing us to form a thorough examination. X-rays also show us the condition of a patient’s spine and allow us to be very specific in our adjustments. Osteopaths cannot utilise and diagnose from x-rays, and therefore their adjustments are far more general.